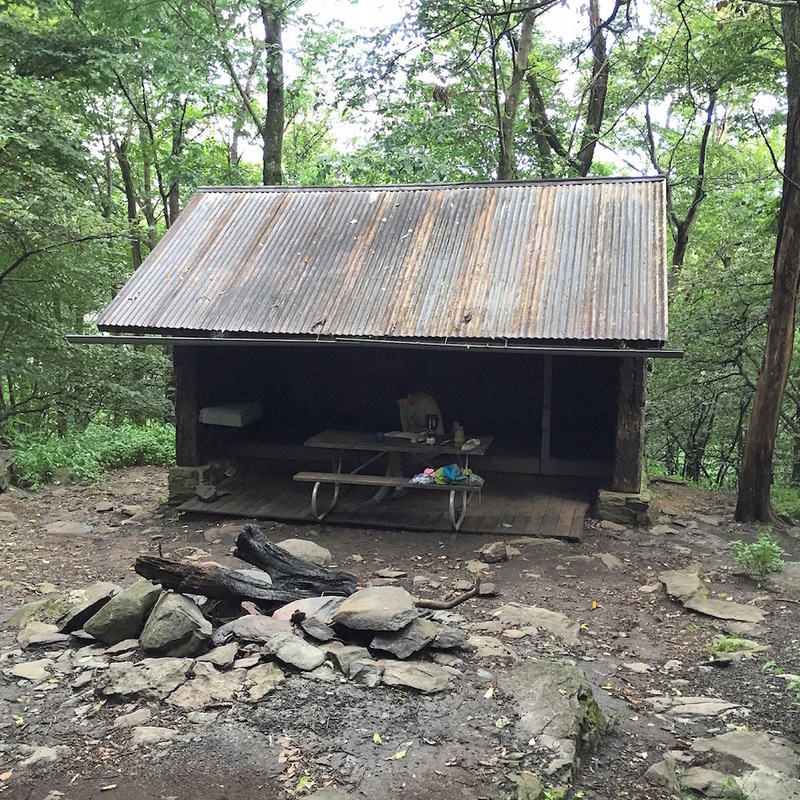 Built in 1984 using the traditional design of open lean to stone and log shelters, Calf Mountain Shelter is located in Augusta County, Virginia, at the southern end of Shenandoah National Park. The shelter was meant to hold up to six people and is maintained by the Potomac Appalachian Trail Club. The Calf Mountain Shelter is built, in part, out of the remains of the Rip Rap and Sawmill Run Shelters, both of which had been dismantled due to over use. Mills Kelly, “Calf Mountain Shelter,” Appalachian Trail Histories, accessed April 23, 2019, http://appalachiantrailhistory.org/items/show/67.